Yeah. I’m a A+ non secretory, too. Still plugging along with chelation after a pretty bad setback with hidden amalgam under some crowns. 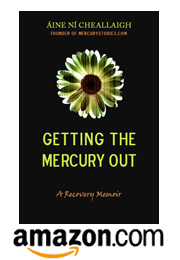 Another A+ non secretor here, been to hell and back with mercury fillings had 10 out in 1998 and still deal with symptoms when detoxing, Cant use any supplements over the counter or prescription without a negative reaction. Have to do everything as naturally as possible with teacher genotype diet and lifestyle. Finally did the secretor status test back in Dec. 2011 got results back in Jan. 2012, started to cry and had to call my wife to let her know. Been a hell of a toxic ride since 1985, multiple doctors never got any help, 44 years old and startin to get it figured out. From personal experience know that non secretor status has significant implications for health, from mercury toxicity to candida and problems with food and chemical sensitivities. An understanding and supportive wife and the Father, Son and Holy Ghost are the only reasons Im still here on this rock. My wife and I never could have children Im sure because of health issues, many nephews and a few nieces though, have done my best to make sure my siblings don’t let them get poisoned. Nonnies are tougher than the rest we gotta be in this toxic modern world. Good luck, God bless. Good luck Paul N – I feel ya! Would appreciate some of your wisdom regarding recovering from having mercury fillings removed. I had mine removed April 2013 and am now struggling with my digestive system. I am a O type non secretor and live in Australia and follow the D’adamo diet but do not have any information on how a non secretor can gently and effectively remove these toxins. I have tried detoxes suggested. They are all to harsh. Sandra, I used liquid zeolite for mercury & fluoride toxicity and did not find it too harsh for me (non-secretor as well). Found this website which is a lot of info on zeolite: http://www.liquidzeolite.org/ . As far as brands, I used Waiora and then switched to one made for my DC. This website supposedly has only information and isn’t selling anything. I did not investigate it very far tho’. Not sure what would be available to you in Oz. Best of luck! Started using zeolite waiora brand also but with my sensitivity and problems with elimination I used 1/2 drop in a foot bath to start and worked up to a full drop in warm water not over 100% F for 20 minutes every other day it seemed to be helping.When I was soaking I would get a strange pulling sensation through my lower legs and feet. I got the zeolite from a friend who is going through detox and she had the same intestinal difficulties with elimination I do. Heavy detox orally tends to slow my elimination intestinally and makes me miserable so the foot bath is the safest way. She told me one bottle is enough to detox three people with the foot bath method so its the most economical way. Used just enough water to cover up my feet and then rinsed them after with a pitcher of warm water into the foot bath. My friend told me not to use water too hot because over 104%F the mercury can vaporize and you can breath in the vapor. I haven’t been detoxing for awhile but I know its time to start again. The best way I found for cutting the dose in half drops was 5 drops zeolite and 5 drops water mixed in a small glass gold vile shaken up to mix, one full drop is now a half drop of zeolite, it gave me a few treatments until I could handle 1 full drop. Others now are using this method and seem to be getting results and have worked up to 4 drops. As I stated above I have to be very careful otherwise detox gets really uncomfortable for me. Hope this helps. The And.y Cutler protocol for chelating mercury.